- For Registration in Jhotpot Balance, customers need to dial *8811*1# (FOC) or Type “START” send it to 8811. - For De-registration in Jhotpot Balance, customers need to dial *8811*2# (FOC) or typing “STOP” & send it to 8811. 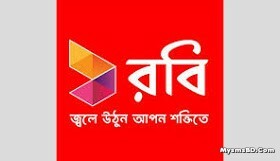 To Know Robi Daily Special Offer. Write On Your Message option Robi And send to 21999 (Free Of Cost)"